Known under his pseudo “H-Pi”, Henri-Pierre is a composer of music to image, sound designer and sound engineer. Famous for his music for Styx: Master of Shadows, Trackmania, My Candy Love and Regalia: Of Men And Monarchs, he has also composed for TV (1 jour, 1 question: 1 day, 1 question). H-Pi studied acoustics, computer science and audiovisual multimedia before specializing in video games music. 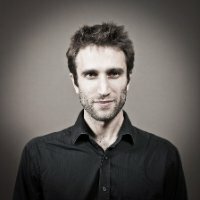 It was in 2003, during his internship at development studio Nadeo at the end of his studies, that he wrote his first composition, the original soundtrack to Trackmania. He then worked as a composer and sound designer at Gameloft, where he composed numerous OSTs for the studio’s mobile games portfolio. These numerous and varied projects allowed H-Pi to experiment and explore all the musical genres. H-Pi is a true multi-instrumentalist (piano, bass, guitar, percussion, saxophone etc. ), who composes in a range of musical styles (orchestral, rock, metal, casual/fun, electro, etc.). He also plays bass and synthesizer in several related projects including his YouTube channel, Bass of Duty, where he rearranges his cult tracks from video games for the electric bass! His innovative approach to music means that demand is increasing for his video games music services. The developments in his career now enable him to compose more ambitious projects like Styx: Shards of Darkness and Regalia: Of Men And Monarchs. You wish to collaborate with H-Pi?